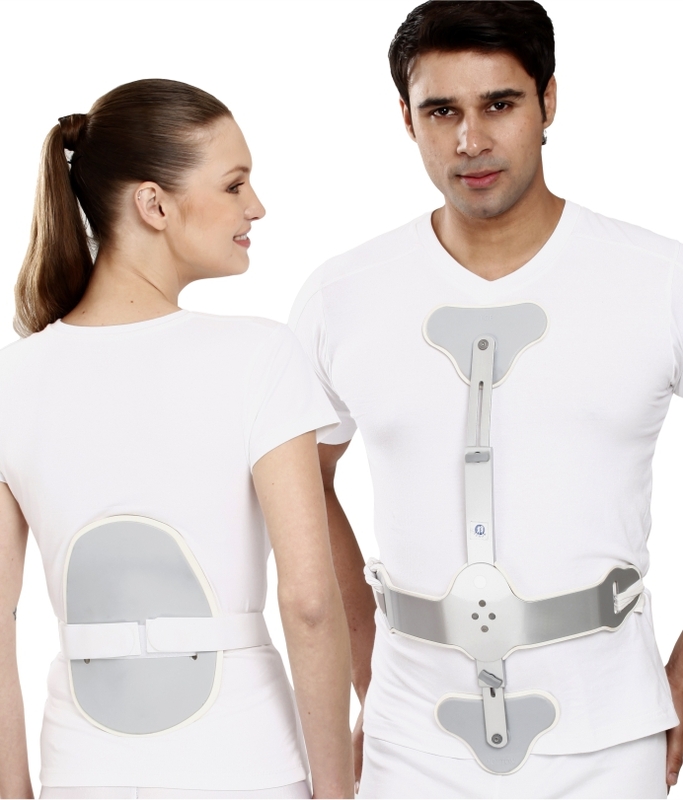 Ash Brace is designed to immobilize the vertebral column and maintain it in neutral or slightly hyper extension position. It provides stabilization of the spine encourages cervical and lumbar lordosis thus relieving pressure on the anterior parts of the vertebral bodies. 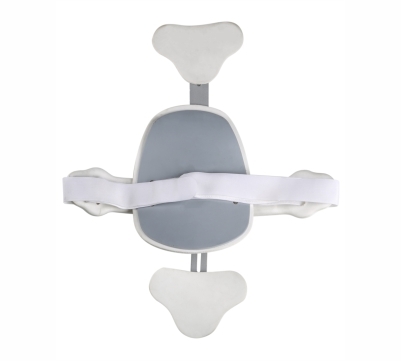 Designed to act on three point pressure principle by exerting pressure against sternum and pubis on ventral and the lumbar region on the dorsal. Anatomical and rigid back pad provide perfact support to the back, relieves the load on the anteriar vertibra. 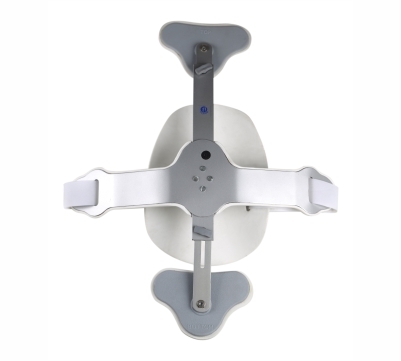 Both vertical bar and horizontal are malleable, can be shaped and customized as per the patient’s anatomy. It has an easy slide and screw adjustment mechanism for easy fitting and adjustment. Perfect customization offer close contoured, fitting,rigid immobilezation and enhanced comfort.